The incident happened on Sunday in the 5500 block of 183A-tollway’s southbound frontage road. Geoffrey Eltgroth, 26, was charged with criminal mischief (tampering with transportation communication equipment), a third-degree felony punishable by up to 10 years in prison. A resident flagged down an off-duty Williamson County sheriff’s deputy and told him that a man walking a dog had altered a warning about road construction on the electronic message board. It said the man “had typed ‘Drive Crazy Yall’” to display on the board. The deputy found Eltgroth walking nearby and confronted him about changing the sign. 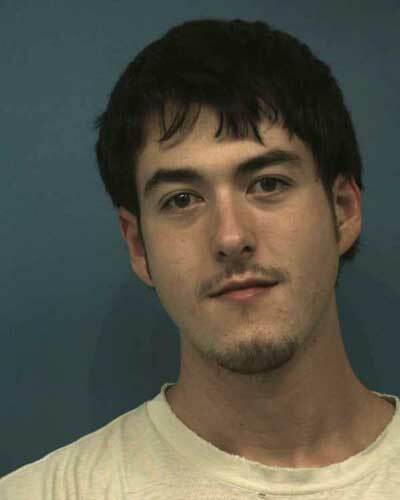 Eltgroth allegedly “admitted to typing in a user name and password (which he guessed) for the sign and to deleting the message to warn traffic of upcoming construction and typing the different message because he believed it was humorous.” Eltgroth is being held in the Williamson County Jail with no bail set. Hmmm. Let me guess. "admin" and "password"?